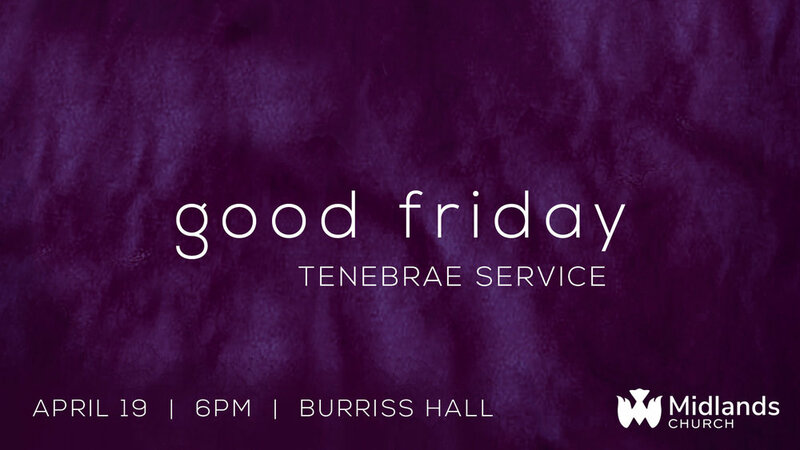 Join us on Friday, April 19th at 6pm in Burriss Hall for our annual Good Friday Tenebrae Service. In honor of Good Friday, we would like to call those in our church family, who are able, to fast on Friday. Our goal for this fast is that we as a church family might take the time to remember and reflect on what Jesus did, in real time and space, and to let hunger help remind us of His suffering and sacrifice. We will break fast together that evening as we observe communion, and share a meal afterwards (provided by the church). For further thoughts on fasting, consider checking out this helpful article at Desiring God. We hope you can join, and we encourage you to invite your family and friends as well!